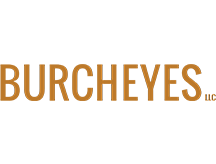 Jason Burch, Burcheyes, LLC CEO: “All of our people have 10-25 years of enterprise sales experience, and a network of executives that trust them. We vet products, we put our stamp of approval on them and take them to the people that know and trust us. Our focus is on finding innovative products or things that are differentiated in a way that’s important to us and we think would be important to the folks in our networks. We have seven solutions for products right now, and we’re not really looking for more but every now and then something pops it’s head up. With PC Matic, we think the whitelisting technology is innovative and different, but we also like that it’s the only American-made product. “We have a solution that is network monitoring and trouble resolution software for WAN and LAN and we thought that we also needed something to optimize the endpoint performance, that way overall, by offering the two together, we could offer a pretty compelling solution for overall performance. I’m a little bit software savvy, but I’m not an IT person by any stretch of the imagination, so something that’s easy for me to administer is pretty cool and removes the headache for me. I also really enjoy the peace of mind that I feel with the 100% detection rates. It makes me feel good every day that even if someone makes a mistake, they’ll still be protected. I try to buy as locally as possible. In this case, just finding something made in the U.S. was difficult. I find comfort in that, specially now when you see things that are happening with Kaspersky and some of the other foreign-supported software offerings. I also like that it’s simple and easy to digest as far as how it works. The others require a lot of trust whereas PC Matic Pro is very straightforward about how it works and it just makes sense. I oftentimes have a harder time understanding why people don’t have it. What’s the benefit of buying one of these other ones? I can’t figure out why anyone wouldn’t want to have it. The support has been fantastic. We’ve only had maybe 2 support requests so far from our customers and both times they were handled quickly and we were able to get them to a live person in the U.S. There really wasn’t anything wrong with the software. It was just more of a use-case and trying to help them have it working the way they want it, and PC Matic was able to execute that. It was fantastic.